EIFL’s Public Library Innovation Programme (EIFL-PLIP) celebrated International Women's Day (March 8) with a new award call – for public and community libraries that empower women and girls through information and communication technology (ICT). The award includes a prize of US$1,500 and is open to public and community libraries in developing and transition countries. The deadline for submitting applications is May 8 – just two months away – so start preparing your application now! 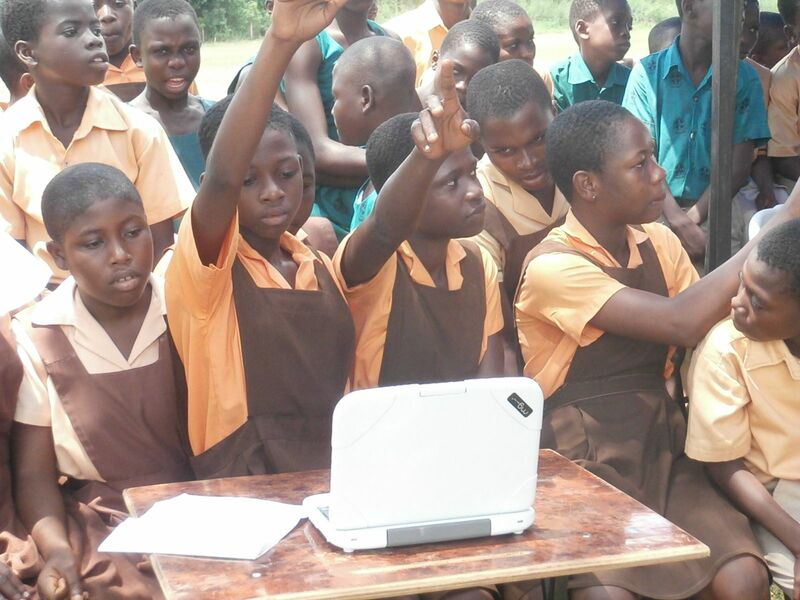 Empowering women and girls through ICT - schoolgirls in Ho, Ghana, get connected through their local library's computer training programme. This is the fifth award the EIFL-PLIP's series of Innovation Awards for libraries that improve lives in their communities. Through the awards, EIFL-PLIP is seeking exciting stories about how libraries contribute to community development. The aim is to share them widely, to tell the world about the good work that libraries are doing, and to inspire other libraries to start similar services.